Of all the crooked presidential elections that have happened in Haiti since the February 2004 coup against President Jean-Bertrand Aristide, the current one is the most blatantly fraudulent. There is no longer any attempt to hide the manipulation. The new attitude is rather that there will be fraud, and it will be blatant. 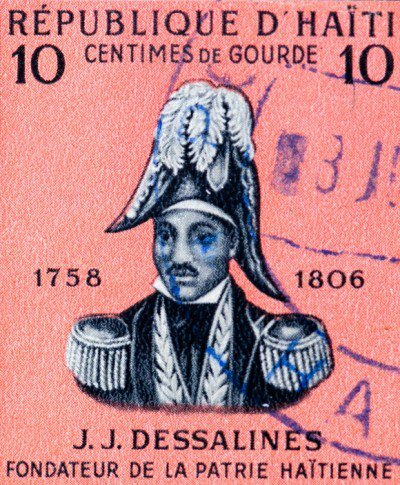 This coincides with the publication of the final election results on December 29, 2016, is practically scheduled to coincide with the 213th anniversary of Haitian Independence on January 1. The psychological battering from the experience has become more important than the fraud itself. According to the Interim Electoral Councils (CEP) that have organized Haiti’s elections, since 2010 the number of ballots cast in every election has been 1.0 million plus a few tens of thousands. In the November 2010 first-round presidential elections, there were supposedly 1.07 million voters. Four months later, in the second-round cholera elections that brought Michel Martelly to power, the number of voters was 1.05 million. For the most recent elections on November 20, 2016, the CEP reported the number of Haitian voters as 1.07 million. Back in 2010-11, the CEP was reporting the number of registered voters as 4.69 million; so in both rounds of the cholera election the official turnout was 22 percent. For the November 2016 election, the CEP said that the number of registered voters had grown to 6.19 million. Nevertheless the turnout of 1.07 million voters was reported as 21 percent instead of 16 percent. I believe this was because the CEP calculated the turnout in 2016 using the number of registered voters in 2010 instead of 2016. Since the CEP has not corrected itself, the error was probably deliberate and the mainstream press, which amplified it, was in on the lie. In between the first and second-round elections of 2010-11, Hillary Clinton traveled to Haiti to demand the removal of Jude Célestin from second place so that the second round would yield the “MMs solution”: a contest between Mirlande Manigat and Michel Martelly. According to emails released by Wikileaks, Laura Graham initially proposed to Cheryl Mills the “MMs solution” that became adopted by Clinton. Former OAS Special Representative to Haiti, Ricardo Seitenfus, blew the whistle on the meetings involving US Ambassador Kenneth Merten and United Nations Mission Chief Edmond Mulet, where President René Préval was threatened with removal if he did not cooperate. Clinton got her man in Martelly, who became quite rich from signing off on every US decision. By the time he was forced out of office in February 2016 by popular protests, Haiti’s agricultural exports had dropped to a mere $29 million per year, and its agricultural trade deficit had grown to nearly $1 billion per year. Of the roughly 1,500 elected officials who had populated the parliament, city halls, and local courts, only 10 remained: a group of senators without a quorum. Attempts by Haiti’s politicians to recover the country through the ballot box have yielded plebiscites that a population wary of elections under a UN military occupation has overwhelmingly boycotted. In January 2016, the boycott was total, and the second-round elections had to be cancelled. According to the mainstream press, the cause of the cancellation was violence, but the real reason was that the party of the second-placed presidential candidate and more than 10 others had refused to participate in legislative and presidential elections without first getting a credible verification of the October 2015 first-round elections. It took nearly half a year, but ultimately an Independent Commission of Electoral Evaluation and Verification (CIEVE) was formed. The CIEVE discovered that more 70 percent of the votes were faked, and it invalidated the October 2015 elections. In that election, the reported turnout was 25 percent, but the real turnout was only 6 percent. About 19 percent of the turnout, or 1.1 million votes, had been fabricated! In other words, to replace the wide-awake Haitians who had boycotted the elections, a massive army of zombie voters had been created. Haiti’s National Electoral Litigation Office (BCEN) is reluctantly considering the cases of three candidates (Jude Célestin, Moise Jean Charles, and Maryse Narcisse) who believe that the November 2016 presidential elections were also rigged. There were not only the usual 1.07 million votes but also a surprising win in the first round by US protégé, Jovenel Moise. More than 50 of the vote-tabulation sheets were recently leaked to the public. They help to understand not only the cheating that raised Jovenel Moise to the top of the pack but also the fraud that went into inflating the number of voters. Consider the vote-tabulation sheet from Jérémie’s Lycée des Jeunes Filles (Slide 1). In it Jude Célestin and Moise Jean Charles are tied with 14 votes each, Maryse Narcisse and Jovenel Moise trail them with 4 and 0 votes, respectively, but Jovenel Moise’s votes have been changed from -0- to 107. In another tabulation sheet from the Ecole Nationale de Savanette (Slide 2), Jude Célestin gets 46 votes, Maryse Narcisse 18 votes, Moise Jean Charles 8 votes, and Jovenel Moise’s 000 vote is changed to 067. In yet another tabulation sheet from Ecole Nationale Calbassier (Slide 3), Jude Célestin gets 22 votes, Maryse Narcisse 6 votes, Moise Jean Charles 5 votes, and Jovenel Moise’s 000 vote is changed to 088. The rest continue, more or less the same way (see slide show). On average, on each tabulation sheet the total number of votes was multiplied by a factor of slightly more than two, and the difference between this multiplied total and the real total was added to the Jovenel Moise pile, of usually zero to a few votes, to achieve an edge of more than 50 percent over the other candidates. In this case, about 500,000 zombie votes were fabricated to make an 8 percent turnout appear to be 16 percent. Most of the fraud has worked in Jovenel Moise’s favor. This alone should be sufficient ground to disqualify him from the elections. The UN, which delivered and collected the election materials, should be kicked out of the country altogether. Ordinary wide-awake Haitians care little about elections at the national level. Instead, they worry about their deteriorating local situation, which involves more than 85 percent unemployment, land theft, displacement, homelessness, looming famine, lack of drinking water, a dying agriculture, the disintegration of infrastructure, and perennial natural disasters. Rather than invest in yet another expensive election, Haitian patriots like Jude Célestin and Moise Jean Charles would do well to join forces in assembling a unity government council to administer Haiti for the next five years, with the restoration of local government as a priority. Later this work could grow to the departmental level, and ultimately the national level. Sources: News Junkie Post. Dady Chery is the author of We Have Dared to Be Free. | Photographs three and ten from the archive of Agencia Brasil Fotografias; four, five and seven from the archive of UN Photo; six by Etant Dupain; eight from the archive of Ansel. Dr. Dady Chery is a Haitian-born poet, playwright, journalist and scientist. She is the author of the book “We Have Dared to Be Free: Haiti’s Struggle Against Occupation.” Her broad interests encompass science, culture, and human rights. She writes extensively about Haiti and world issues such as climate change and social justice. Her many contributions to Haitian news include the first proposal that Haiti’s cholera had been imported by the UN, and the first story that described Haiti’s mineral wealth for a popular audience.